Home › News › As Prescribed Blog › Family Fitness Fun! Are you ready to get your heart pumping with family and friends? Hey everybody! 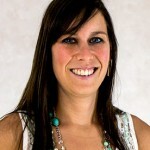 My name is Tiffany Pernat and I'm one of the fitness instructors teaching our Family Fitness Fun Classes. We're going to be moving and grooving on Tuesdays from November 7th - 28th. Each class with be $17 per family. These classes will be here to promote structured movement and a safe place to exercise during those cooler months. Myself, Lauren Mayer (IMP NP), Heidi Jennrich (IMP NP) and Amanda Guerra (FHC Community Screener and certified in holistic medicine) will looking to spruce up your family exercise time and have fun while doing it! Check below for more details... We can't wait to see you November 7th to kick things off! What is being offered: A different class each week. All weeks will include family-friendly and fun activities and games to get the heart pumping and blood flowing.